It’s April and we have been busy, busy in my house! We recently adopted a dog (a sweet black lab named Miles), I had dental surgery, my kids are on spring break this week, and my daughter’s birthday is in a couple weeks! We’ve been so busy that I haven’t had as much time to read—GASP! I’m back at it now and LOVING Julie James’s Love Irresistibly. It is terrific so far! Next up is Seduced at Sunset by Julianne MacLean. Should be good! I’m also looking forward to Julia Quinn’s The Bridgertons: Happily Ever After, Let It Be Me by Kate Noble, and While We Were Watching Downton Abbey by Wendy Wax. I'm just adding all of the Historical to my wish list, though my daughter says I need to branch out too. I read HelenKay Dimon's No Turning Back and Heather Graham's Let the Dead Sleep. Looking forward to Julie's Love Irresistibly and Suzanne's The Handbook to Handling His Lordship. Jane, you are going to love Julie's newest!! I am looking forward to Love Irresistibly by Julie James. As with all of Julie's books, it is worth the wait, Maureen! LOL! Love your list, Laurie! Oh my goodness, so many books my mind just boggles and so does my checkbook! I have read And Then She Fell – Stephanie Laurens, and added to my TBB list is (mostly historical, can't help it that is my first love)Darius – Grace Burrowes, At the Highlander’s Mercy – Terri Brisbin, And the Miss Ran Away from the Rake – Elizabeth Boyle, The Handbook to Handling His Lordship – Suzanne Enoch,If He’s Tempted – Hannah Howell, Seduced at Sunset – Julianne MacLean, The Bridgertons: Happily Ever After – Julia Quinn, Whiskey Beach – Nora Roberts, and Lover at Last – J.R. Ward.....Yeah, I am going to be a busy, busy girl for a while. You sure are going to be busy! Enjoy them, Dianna! Wow you are busy. I read the Julie James and Deb Macomber books and I loved them. So many contemps I see on that list; some are in the mail to me and some are on my tbr and for those that aren't yet am looking f/d to: Current Creek Valley and Too Hot to Handle. Thanks for the giveaway. I thought the same thing, Pat--lots of contemporaries this month. I'm glad to hear you loved Julie's! 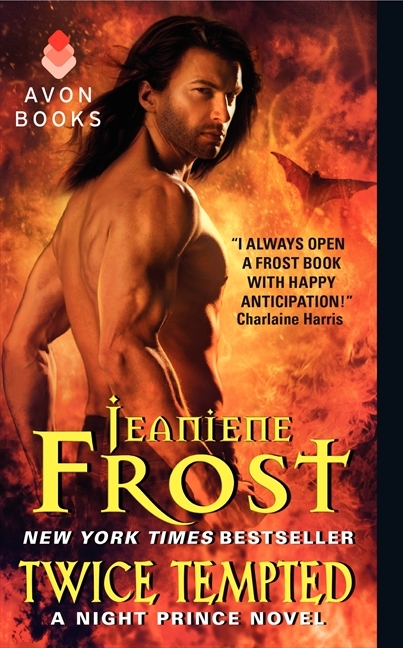 April is certainly bringing showers of great books for romance readers. I too loved Love Irresistibly. I've been a Julie James fan from her first book. 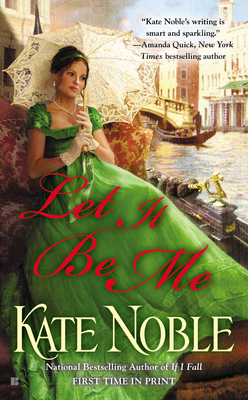 Today I’m reading Let It Be Me by Kate Noble, another winner. I’ve already read the following, liked them all, and raved about some. Janga, I am so glad to hear that Kate's newest is another winner. I can't wait to read it! 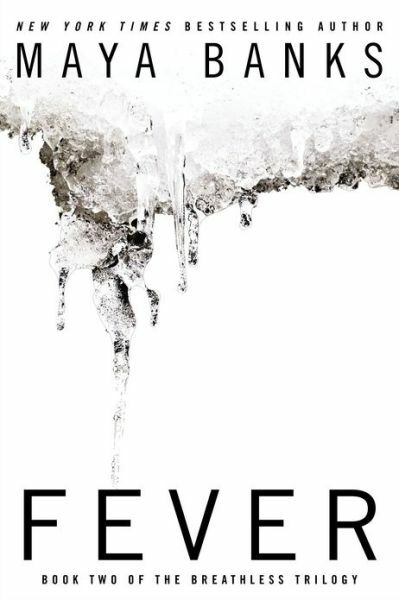 The only one I read so far was Starting Now. 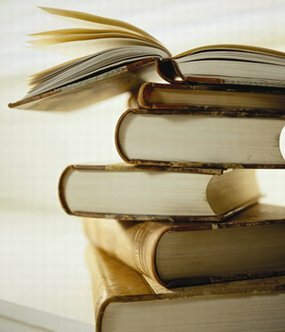 Any of the contemps and romantic supsense books I will have to ck out; there are some on there that I know I will want to read as well as Lush by Lauren Dane. Great list, gamistress! And I can so relate: so many books, so little time! Andrea, as always, the number of new releases is mind-boggling! I'm not yet into April releases, due to my perpetual state if behindness. 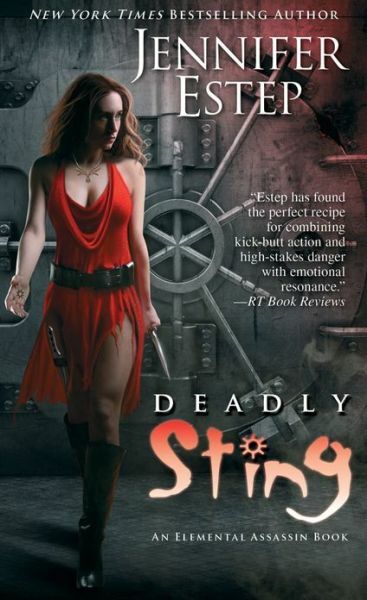 I've been enjoying Elle Kennedy's new RS series and looking forward to Nora's Whiskey Beach, Amy Raby's Assassin's Gambit, and Grace Burrowes' Darius. Congrats on your new family member. We had a yellow lab, and we adored her. I just got my copy of And then she Fell by Stephanie Laurens and I'm waiting for my copy of Darius by Grace Burrowes to arrive. But all the historicals sound wonderful to me and some of the romantic suspense and paranormals too. I'm reading Love Irresistibly by Julie James right now and enjoying it. Glad to hear it, Kim! I haven't read any of them, but I have a few on my list, including Love Irresistibly. I have quite a few of the other ones, either on my list or already purchased, but not yet read! And Then She Fell, Let it Be Me,Sweet Madness, Reflection Point, The Wanderer & Last Chance Book Club are top on the list right now. Thanks for the detailed list! Today I finished SWEET MADNESS by Heather Snow. What an amazing and moving story! There are so many on your list that I plan to read. April is going to be a great book month! Oh! Thanks for the rec, Marcy! I have Sins of a Ruthless Rogue by Anna Randol and The Wonderer by Rybin Carr but haven't read them yet. 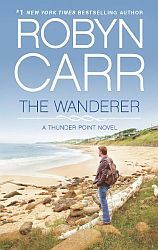 I heard The Wanderer hit #1 on the NYT bestseller list! Go Robyn, and go romance! Thanks, Kim! Have a great weekend yourself! Sooo many! Especially Buried by Kendra Elliot and Whiskey Beach by Nora Roberts. LOL! I saw where it's discounted. I may have to buy a copy for my Nook and get a print copy as well, Deb! Enjoy! My most anticipated in april is actually a m/m book by abigail roux. 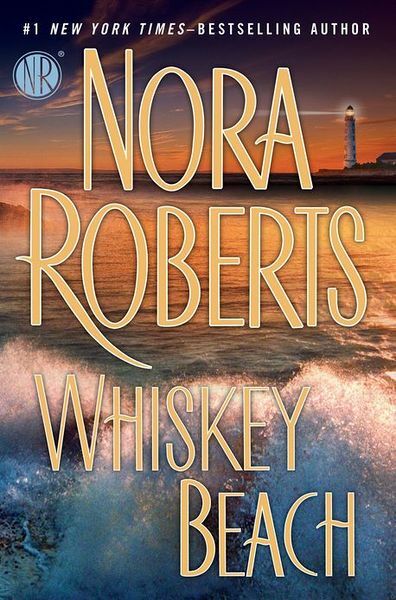 But i also waiting for whiskey beach from nora roberts and several other.